One of the most common reasons for treatment failure of any condition is poor owner compliance—and allergic disease is no different. Owner compliance is essential for long-term successful allergy management, and proper education of owners is critical to ensure treatment compliance. Client education begins with the entire veterinary team, and communication about standard diagnostic and treatment protocols is a crucial first step in order to achieve a positive outcome for patients and clients. The entire practice team should be kept up-to-date with the latest diagnostics and treatment protocols. The practice of medicine is constantly evolving, and diagnostics and treatment modalities are forever changing, especially in regard to management of allergic skin disease. Weekly or monthly team meetings are a great way to inform all team members about newly available protocols and to discuss current modalities and areas for improvement. Emails, newsletters, or training videos for veterinary team members that detail up-to-date protocols and any changes to diagnostic or treatment recommendations are also a great way to communicate within a practice. Continuing education opportunities should be encouraged for all team members and may involve lecture series, wet labs, or regional conferences. Support for team members can also be provided via telephone for cases in which there is a question regarding testing or treatment options. Confident and competent veterinary team members are the first line for treatment success. Clients who do not fully understand their pets condition or treatment plan cannot (and should not) be expected to comply. Client education begins as soon as the client walks in the door. The waiting room should be used as the first opportunity for client education; informational pamphlets, posters, and diagrams should be easily accessible for clients. Educational programs can also be presented digitally on televisions, computers, or tablets that are available for clients to use while waiting. Client education should not end when clients leave the clinic but should continue at home. Only the concentration of allergens currently in use should be dispensed, in order to avoid clients mistakenly using incorrect vials that may contain higher concentrations. Thorough but easy-to-read discharge materials, client handouts, and web tools can provide clients with continued education after their appointments. Electronic reminders and customized treatment calendars can also help keep clients on track with their pet’s therapy. Although the standard treatment protocol should be followed in all cases, it is important to directly involve clients in treatment. Reviewing results as well as food recommendations with the client can help set realistic goal expectations. 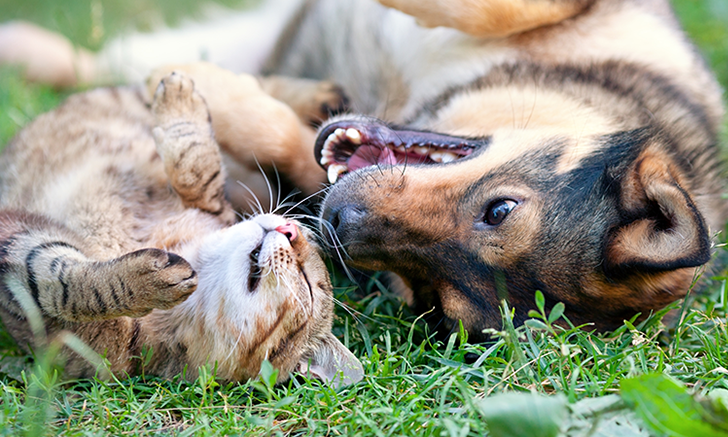 Clients should be active members of their pets’ veterinary team from day one. Incorporation of client goals into the treatment plan can help foster the relationship between clients and the veterinary team and ultimately promote treatment success. It is crucial to discuss treatment goals and set realistic expectations for treatment outcomes. The real challenge in compliance begins when the pet and client leave the appointment. The importance of follow-up once the pet is home cannot be overstated. It is important not only to ensure that the pet is receiving appropriate treatment but also to encourage and support clients for the duration of treatment. Most pets require frequent rechecks to determine treatment success and to ensure that the appropriate treatment plan is being followed. While allergies are a life-long condition, veterinary team and client communication and teamwork will optimize treatment success. Loewenstein C, Mueller RS. A review of allergen specific immunotherapy in human and veterinary medicine. Vet Dermatol. 2009;20(2):84-98.